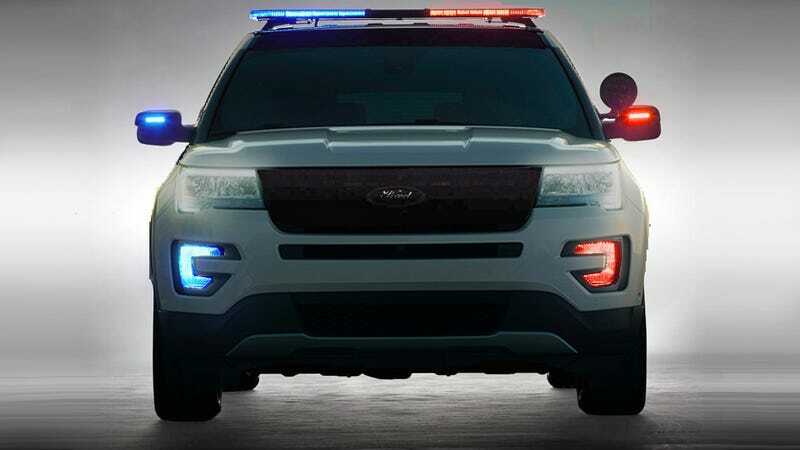 A police variant of the 2016 Ford Explorer was inevitable, cops can't buy enough of the current one. Here's what it looks like lurking in the dark, we'll see the whole thing and find out all about the "cop engine, cop suspension, cop brakes" and such at the Chicago Auto Show next week. So if you could go ahead and be on your best behavior when you see this face, the 2015 Dodge Charger, or anything else Johnny Law uses to keep our streets safe, that'd be great. M'kay?